NYC Clickers Daily Feature Photos - "Washington Square Park and Greenwich Village"
NYC Clickers Photo Tours pg. 2 - A picture tour of Washington Square Park and Greenwich Village. Pictures of the arches of Washington Square Park after a snow. See photos of Fifth Avenue, Washington Mews, and Bleecker Street, the home of Greenwich Village clubs. See the hotel where Bob Dylan lived when he was a street musician in Greenwich Village. Zoom Zone Pictures - New York Photos of Washington Square Park. New York City lifestyle photography. Doctor Delicious New York Chef Recipes - Venison Steaks recipe. Jan takes advantage of her time alone in the office with Tiffany and tries to make her jealous by dropping hints too powerful to ignore. Readio® on Broadway - "Betrayal" - closing Sunday Feb 4th, 2001. NYC Clickers Daily Feature Photos - "Bloomingdales and Beyond"
NYC Clickers Photo Tours pg. 2 - A picture tour featuring Bloomingdales Department Store and the area near Bloomies. See pictures of highrises on the Upper East Side, Third Avenue, The Citicorp Building, Queensboro Bridge and restaurants of the area. Zoom Zone Pictures - New York Photos of Acacia French Restaurant. New York City lifestyle photography. Doctor Delicious New York Chef Recipes - Shrimp with Pasta Shells recipe. Jan stops by Clark's office and meets with Tiffany. It's the first meeting between the two women since Jan got her fired. More fireworks coming? NYC Clickers Daily Feature Photos - "Times Square Entertainment"
NYC Clickers Photo Tours pg. 2 - A walking tour of pictures in Times Square and the theatre district. Photos looking down on Broadway as well as street shots. Pictures of the newspaper's old New York Times Building. You'll see the Barrymore Theatre, the China Club, ABC Studios and the billboards of Broadway. Zoom Zone Pictures - New York Photos of ABC Studios and China Club. New York City lifestyle photography. Doctor Delicious New York Chef Recipes - Stuffed Pork Loin recipe. Tiffany and Starlene get invited to a party. Will it be a gala social affair or trouble for the sisters? 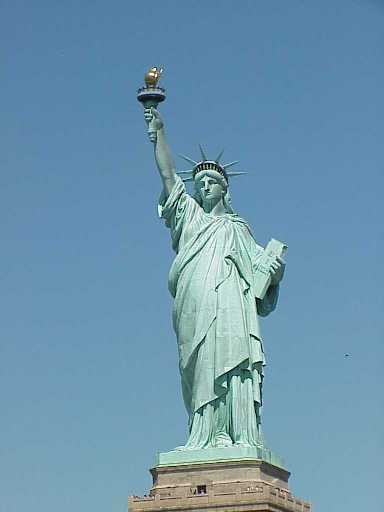 NYC Clickers Daily Feature Photos - "NY Statue of Liberty & Tour NYC"
NYC Clickers Photo Tours pg. 2 - A tour guide of New York City. Pictures of walking tours, Circle Line tours, Brooklyn Bridge and rooftops of the World Trade Center. You'll see a close up of the Statue of Liberty, pictures of Ellis Island, South Street Seaport, NY Stock Exchange, City Hall, Empire State Building, Chinatown and a flock of New York pigeons. Zoom Zone Pictures - New York Photos of Chinatown, Twin towers and pigeons. New York City lifestyle photography. Doctor Delicious New York Chef Recipes - Clam Chowder Vegetables and Seafood recipe. Tiffany and Starlene go home after their meeting with Stanley Morgan. Tiffany plays hard to get, but Stanley's encouraged by Starlene's ambition. Has Stanley met his match? NYC Clickers Daily Feature Photos - "Talent, Dreams and SoHo"
NYC Clickers Photo Tours pg. 2 - A picture tour of SoHo from South of Houston to Mercer Street to West Broadway. You'll see artists, designers and the up and coming in SoHo. Experience the fun and challenge of life as an artist in New York City. Zoom Zone Pictures - New York Photo of a canvas artist in the streets of SoHo. New York City lifestyle photography. Doctor Delicious New York Chef Recipes - Chicken Cacciatore and Mushrooms recipe. Stanley tries to get an intoxicated Starlene and an angry Tiffany to go for a ride to Times Square. Will he make time with Starlene? NYC Clickers Daily Feature Photos - "NY Italian Style"
NYC Clickers Photo Tours pg. 2 - Happy New Year to our Chinese Readers! A picture tour of Little Italy. Walk Mulberry street and see pictures of the restaurants, stores, churches and sights of the Italian neighborhoods of NYC's Little Italy. Zoom Zone Pictures - NYC photo of the Old Police Headquarters. New York City lifestyle photography. Doctor Delicious New York Chef Recipes - Baked Rigatoni recipe. Stanley pours Starlene too many drinks. The older man makes a move to take the sisters to dinner. Will they go? Readio® on Broadway - "Miss Saigon" - closing January 28th 2001. NYC Clickers Daily Feature Photos - "An area in progress, Harlem"
NYC Clickers Photo Tours pg. 2 - See the new and old neighborhoods of West Harlem in the snow. Pictures of the original Sloan Kettering Cancer Center, The Cathedral Church of St. John The Divine, Manhattan Avenue, Central Park and Morningside Park. Photos of Broadway in Harlem and Jazz on the Park Hostel on Duke Ellington Blvd. Zoom Zone Pictures - New York Photos of Jazz on the Park Hostel in Harlem near Central Park. New York City lifestyle photography. Doctor Delicious New York Chef Recipes - Pineapple Muffins recipe. Stanley meets Starlene at Tiffany's office. Starlene knows Stanley is wealthy and she's very ambitious. NYC Clickers Daily Feature Photos - "Park Avenue Darling"
NYC Clickers Photo Tours pg. 2 - A picture tour of one of NYC's most famous avenues - Park Avenue. See pictures of the Waldorf Astoria, Helmsley Building, Sheraton Russell Hotel, Grand Central Station, Met Life, Chrysler Building and the glamorous sights of Park Avenue. Zoom Zone Pictures - New York Photos of Chrysler Building, Sheraton Russell Hotel and Grand Central Station. New York City lifestyle photography. Doctor Delicious New York Chef Recipes - Park Avenue Filet Mignon recipe. Tiffany is left alone in the office with lecherous Stanley Morgan when a surprise visitor stops by. NYC Clickers Daily Feature Photos - "Pictures of a Snowstorm"
NYC Clickers Photo Tours pg. 2 - Snowstorm pictures of a winter snow storm on Broadway in Times Square. See pictures looking down on the heavy snow and the stores of Broadway, TDF Stand, ABC Studios, Nasdaq, Jumbotron, Broadway signs, and the people of New York City. Zoom Zone Pictures - New York Photos of Snow in Times Square. New York City lifestyle photography. Doctor Delicious New York Chef Recipes - Paglia E Fieno...Two Colored Pasta with Mushrooms recipe. The wealthy client Stanley gets Tiffany's job back for her. He's alone in the office with her. Is it payback time for Tiffany? NYC Clickers Daily Feature Photos - "Chinatown Feng Shui to Hot Dogs"
NYC Clickers Photo Tours pg. 2 - A picture walking tour of Chinatown and Canal Street. See photos of the fish market, sidewalk vendors, billboards, Pearl River, hot dog stands, and the great sights to see in NYC's Chinatown. Zoom Zone Pictures - NYC photos of Canal Street New York. New York City lifestyle photography. Doctor Delicious New York Chef Recipes - Cornish Game Hens and Onions recipe. Stanley helped Tiffany get her job back. Today he stops by the office hoping to be alone with her. Will Tiffany pay a high price for his help? NYC Clickers Daily Feature Photos - "Spending Money in NYC"
NYC Clickers Photo Tours pg. 2 - If you haven't spent all of your money, we'll show you how. A picture tour including Trump Tower, Rockefeller Center, The Plaza Hotel, 5th Avenue, Christie's, the Helmsley Palace Hotel, JP Morgan Library and 57th Street. Zoom Zone Pictures - NYC photos of a carriage ride in front of New York The Plaza Hotel. New York City lifestyle photography. Doctor Delicious New York Chef Recipes - Lentil Soup recipe. A casting director in Times Square interviews Starlene. Will this be a lucky day for this little southern belle? Readio® on Broadway - "Copenhagen" - closing Sunday January 21st 2001. Readio® on Broadway - "Miss Saigon" - extended through January 28th 2001. NYC Clickers Daily Feature Photos - "Everything Village"
NYC Clickers Photo Tours pg. 2 - A picture tour around the East and West Village. You'll see Acme Bar, Tower Records, Coyote Ugly, Jefferson Market, Astor Place, MacDougal Street, St. Mark's Place, and even Lafayette Street which was once the home to Franklin Delano Roosevelt's Grandfather. We've even thrown in larger than life pictures of billboard fashions. Zoom Zone Pictures - NYC photos of Coyote Ugly bar in the East Village and the Absolut Billboard sign. New York City lifestyle photography. Doctor Delicious New York Chef Recipes - Quiche Lorraine recipe. Starlene walks into a casting agency in Times Square without an appointment looking for a job. Will a NYC casting director warm to her southern charms? NYC Clickers Daily Feature Photos - "Downtown New York City"
NYC Clickers Photo Tours pg. 2 - Happy Martin Luther King, Jr. Day! A picture tour of downtown Manhattan including the Brooklyn Bridge, South Street Seaport, Broadway, World Trade towers, National Museum of the American Indian, the Millennium Hilton Hotel and the Circle Line Cruise. See a photo of where George Washington worshipped at St. Paul's church downtown. Zoom Zone Pictures - See a NYC photo of the Millennium Hilton Hotel, the Century 21 Department Store and the Circle Line Cruise boat. New York City lifestyle photography. Doctor Delicious New York Chef Recipes - Herbed Mashed Potatoes recipe. Jan implied her Father had Tiffany rehired to entertain his rich friends. Hot-headed Skeeter is ready to talk to Stanley Morgan. Will he? NYC Clickers Daily Feature Photos - "Pictures of Times Square"
NYC Clickers Photo Tours pg. 2 - A walking tour of pictures taken in Times Square. See pictures of Times Square, The NASDAQ Building, Broadway, The Lion King, Theatres on Broadway, and stores on 42nd Street in Times Square. Zoom Zone Pictures - See a NYC photo of the Museum Company Store and neon signs on 42nd street. New York City lifestyle photography. Doctor Delicious New York Chef Recipes - Fettucine Alfredo recipe. Skeeter faces Jan's questions about divorcing Tiffany. Skeeter is surprised at Jan's assessment of Tiffany's job and her involvement with the wealthy men and the parties in New York City. NYC Clickers Daily Feature Photos - "Washington Square Park"
NYC Clickers Photo Tours pg. 2 - A picture tour of Washington Square Park. See photos of Waverly Place at the arches of Washington Square Park. You'll see pictures of 5th Avenue, Minetta Lane Theatre, the Blue Note, Father Demo Square, Waverly Theatre, some Village people and their best friends. Zoom Zone Pictures - See a NYC photo of the Waverly Theater, Village People and the dog run in Washington Square Park. New York City lifestyle photography. Doctor Delicious New York Chef Recipes - Raspberry Tiramisu recipe. Clark gets a first and lasting impression of Tiffany's sister Starlene when she stops by the office today. NYC Clickers Daily Feature Photos - "Madison Square Garden"
NYC Clickers Photo Tours pg. 2 - A picture tour of the area around Madison Square Garden including the Empire State Building, Herald Square and Macy's Department Store. Zoom Zone Pictures - See a NYC photo of Herald Square Park across from Macy's. New York City lifestyle photography. Doctor Delicious New York Chef Recipes - Turkey Scallopine with Bacon recipe. Tiffany goes back to her apartment after her lunch with Skeeter to find Starlene and Laney plotting the future. They discuss Stanley's input in their affairs. Readio® on Broadway - "Swing" - closing January 14th 2001. NYC Clickers Daily Feature Photos - "On the Streets of SoHo"
NYC Clickers Photo Tours pg. 2 - A picture walking tour of SoHo. See photos of cobblestone streets, cast iron buildings and art sales on sidewalks of West Broadway. You see photos of an outdoor market on Spring Street, the SoHo Grand Hotel and a few of the restaurants in SoHo. Zoom Zone Pictures - See NYC photos of West Broadway in Soho and Borgia II Cafe. New York City lifestyle photography. Doctor Delicious New York Chef Recipes - Chicken Scallopine recipe. Skeeter saw the new diamond ring on Tiffany's hand while they were at lunch. The fight gets so heated that they take it to the street where she tries to get the truth out about Jan and him. NYC Clickers Daily Feature Photos - "Wheelin' and Dealin' in Chinatown"
NYC Clickers Photo Tours pg. 2 - A photo tour of Chinatown with free advice. See photos of street sales on Canal, Pearl River, plastic stores and the busy sidewalks of NYC's most colorful area - Chinatown. Zoom Zone Pictures - See NYC photos of Canal Street sidewalks, the streets of Chinatown and the people of Chinatown. New York City lifestyle photography. Doctor Delicious New York Chef Recipes - Fettucine with Spinach and Cream recipe. Tiffany meets Skeeter for lunch to discuss their plans for a divorce. Is he serious this time? NYC Clickers Daily Feature Photos - "Tudor City"
NYC Clickers Photo Tours pg. 2 - A photo tour of the self contained city within a city, Tudor City. See photos of the area of 42nd Street, the Chrysler Building, Grand Central Station, Met Life, Citicorp, UN Plaza, Midtown East Side hotel photos of the Roger Smith Hotel and the Grand Hyatt Hotel on 42nd Street. Zoom Zone Pictures - See NYC photos of the Helmsley Hotel, the Chrysler building and the New York Daily News Building on East 42nd Street New York. New York City lifestyle photography. Doctor Delicious New York Chef Recipes - White Chocolate Mousse recipe. Skeeter's angry at Tiffany and is waiting to meet her after her job interview with Clark. Clark's suspicious that Tiffany isn't being honest about her involvement with his client Amir. Will she get her job back? NYC Clickers Daily Feature Photos - "Astor Place"
NYC Clickers Photo Tours pg. 2 - A picture tour of Astor Place and the Lower East Side with some history of the area. See where the "in" spot for a man's haircut is at Astor Place Hair Designs. You'll get a little fun history about a wedding in 1863 at Grace Church on Broadway. Photos of St. Mark's Place, the cool shops, and, the people of the area. Zoom Zone Pictures - See NYC pictures of St. Mark's Place New York. New York City lifestyle photography. Doctor Delicious New York Chef Recipes - Stuffed Mushrooms recipe. Tiffany's on her way to Clark's office hoping to get her job back when she runs into her ex-husband Skeeter. She hasn't seen him since she walked out on him before Christmas. NYC Clickers Daily Feature Photos - "Star Studded West"
NYC Clickers Photo Tours pg. 2 - A picture tour of the area of the Upper West Side that is home to many movie stars, musicians and famous people. See pictures of the Ansonia Building, American Museum of Natural History, 79th Street Boat Basin, Columbus Avenue, Lincoln Center and the shopping of the Upper West Side of NYC. Zoom Zone Pictures - See NYC pictures of 79th Street Boat Basin New York. New York City lifestyle photography. Doctor Delicious New York Chef Recipes - Sweet Potato Souffle recipe. Clark's client, the wealthy Stanley Morgan, stops by the office making an offer Clark will find hard to refuse. Readio® on Broadway - "Jekyl & Hyde" - closing January 7th 2001. NYC Clickers Photo Tours pg. 2 - Pictures taken in Washington Square Park after the heavy rain left pretty skies and a double rainbow. 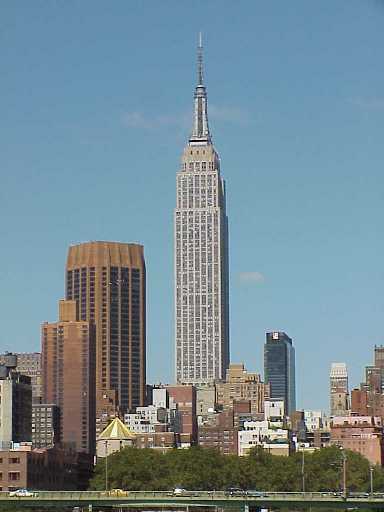 See pictures of the Empire State Building, the arches of Washington Square Park, Babbo Restaurant, 6th Ave, West 8th Street, Jefferson Market and Minetta Lane. Zoom Zone Pictures - See NYC pictures of Jefferson Market Library, Minetta Street, and a squirrel in the park in New York. New York City lifestyle photography. Doctor Delicious New York Chef Recipes - Roast Leg of Lamb recipe. Tiffany and Starlene's Father calls from Georgia to discuss the future of his daughters in NYC. Starlene is out on the town with her own plans. NYC Clickers Daily Feature Photos - "New Year's Resolutions from NYC"
NYC Clickers Photo Tours pg. 2 - Readio® shares our New Year's resolutions in NYC pictures. See a close up of the Statue of Liberty, Chinatown, the new Hotel W in Times Square, fashion shots and a photo of the skyline of NYC. See pictures of politicians. Zoom Zone Pictures - See pictures of the famous former Governor of New York Mario Cuomo and the Reverend Jesse Jackson in New York. New York City lifestyle photography. Doctor Delicious New York Chef Recipes - Clam Soup recipe. New Year's dinner is at Tiffany's with Amir and her sister Starlene. Starlene hints at plans of uncovering a modeling career in NYC.